A wise man once said – health is not valued until sickness comes. How true the above saying is! By keeping poor lifestyle habits developed in this fast-paced day and age, it is no wonder that our physical and mental health has suffered the consequences. And the things is, as the saying above states, we don’t even realize how our habits are impacting our health until the maladies start to arrive. We all know this instinctually, right? But the thing is, we need to be reminded to keep regular sleeping patterns. When you are young, you don’t pay heed to irregular sleep. But, sleep is the most important part of the day for your body. Yet it is the most neglected routine in our life. When was the last time you had a full 8-hours of sleep? Can’t remember? Irregular sleeping patterns mean that the body is not getting the rest it needs to stay rejuvenated and full of energy. And, this stress could lead to hormonal imbalance. The first result of this hormonal imbalance could be seen in the form of increased body weight. Solution: By keeping factors like ambient lighting and temperatures in your bedroom consistent, you can create an environment that is much more favorable for getting a more restful sleep. Not just work stress, but stress in personal life as well, is causing the most devastating impact on our health. 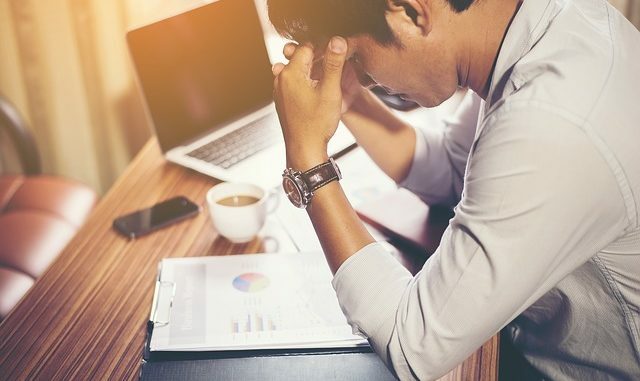 If your professional life is stressful, chances are that it is going to lead a negative impact on your personal life as well. Chronic stress secretes cortisol, the stress hormone, which is known to disturb sleep patterns and also bring along other health problems as well. Solution: Embracing the effectiveness of yoga and practicing mindfulness can help you eliminate stress from your life and become healthier. But be aware that this is a practice, and not a one-off, simple solution. That said, it’s benefits can be far reaching, so integrating these practices in your life can be a game changer, not just for your physical and mental health, but for your happiness overall. NOTE: In tomorrow’s article, we will discuss the practice of yoga, and its health benefits. Studies have revealed that the blue light coming from the screen of your smartphone, tablets and laptops is the most damaging thing for your sleep. It leads to the secretion of melatonin, the hormone that plays a key role in the sleep cycle. By exposing yourself to the low blue lights from these screens you are altering the sleeping cycle of your body. In the longer run, this could lead to you getting a lesser number of hours to sleep, and thus creating adverse effects on your body. Solution: Keep your electronic gadgets away from bedroom, and avoid using mobile, laptop and tablets at least 30 minutes before going to sleep. Those were a few of the common habits that we all can relate to in our lives. Did you ever think that these small habits could actually be causing such an impact on your health? So, pay heed to the solutions mentioned here. If you can do so, you will be able to become a healthier and happier person after implementing these solutions in your life. How To Make Your Own Compost At Home?